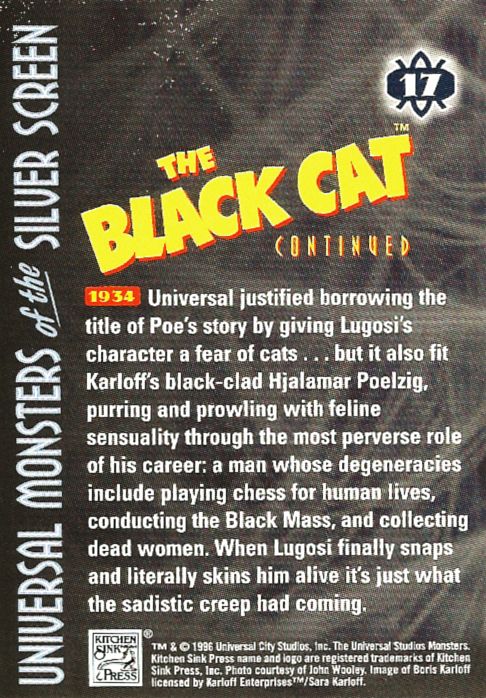 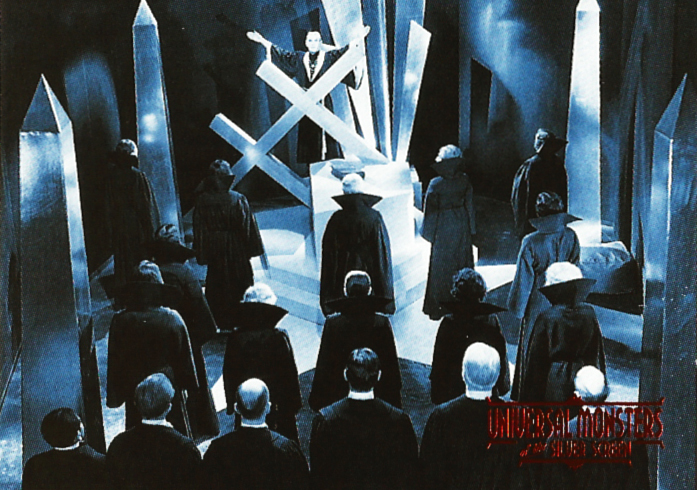 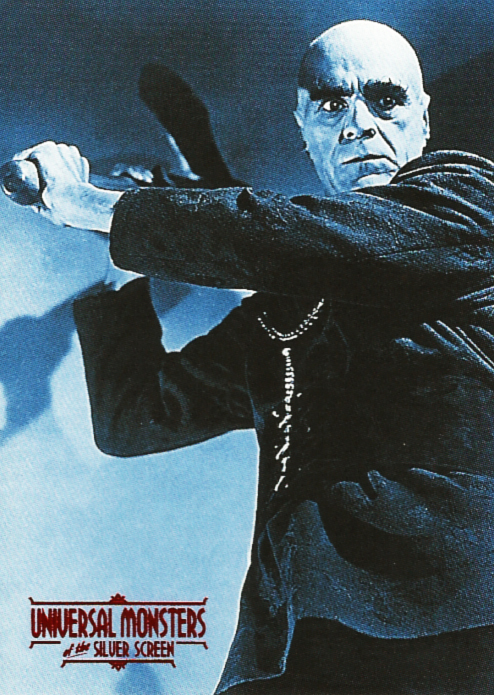 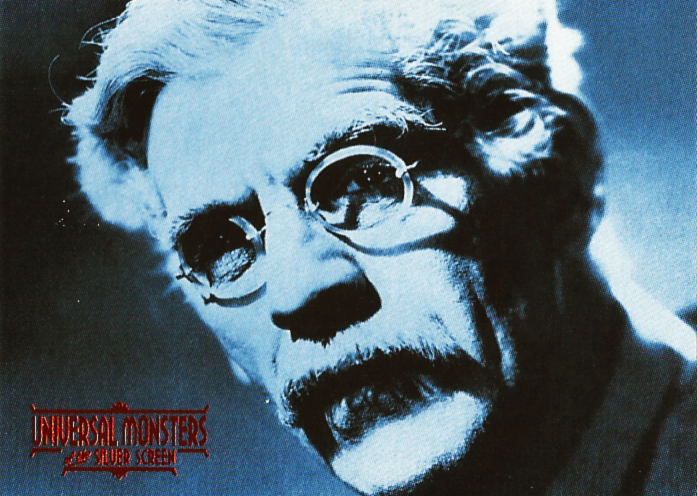 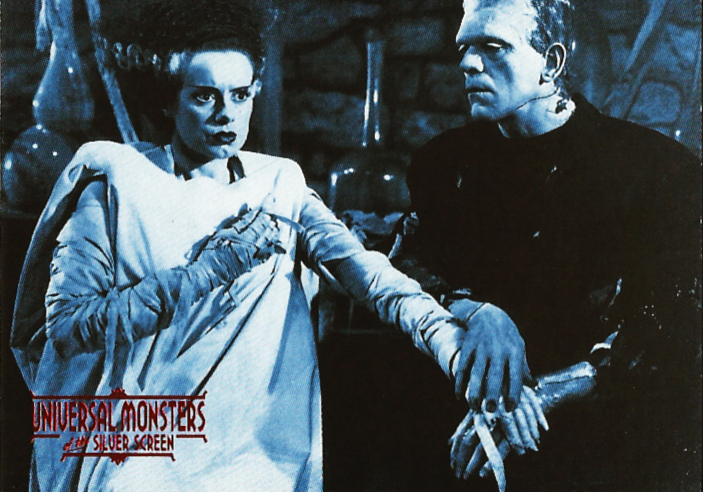 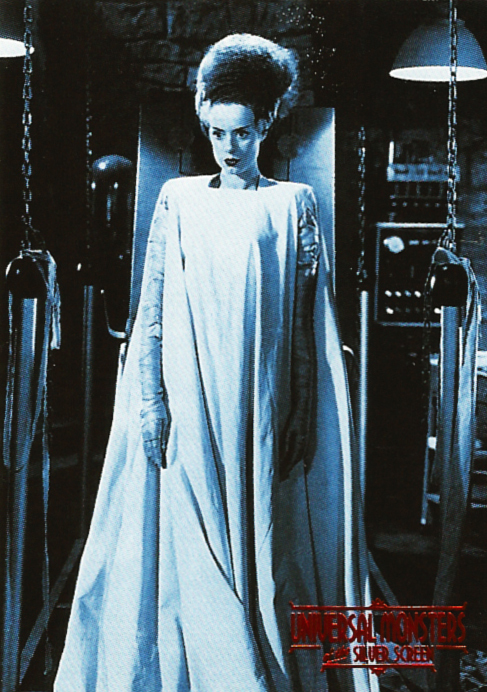 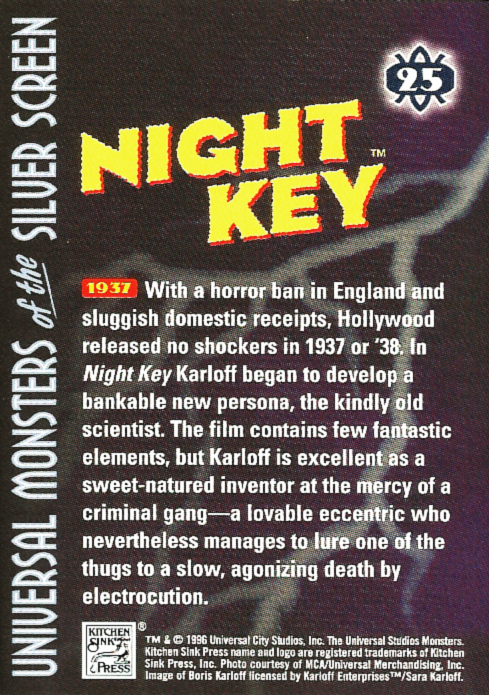 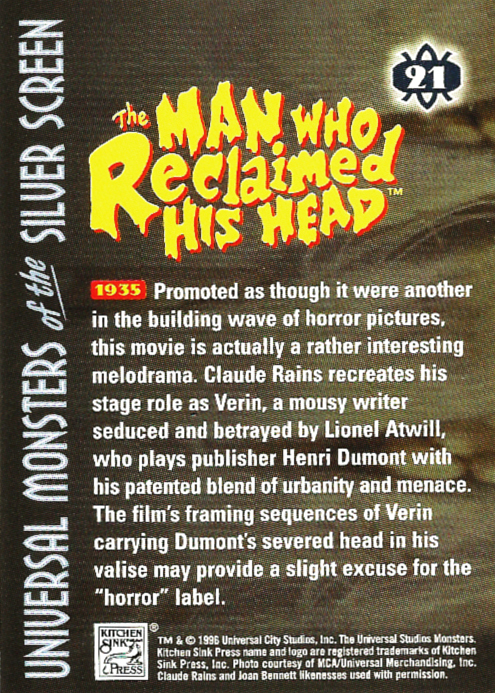 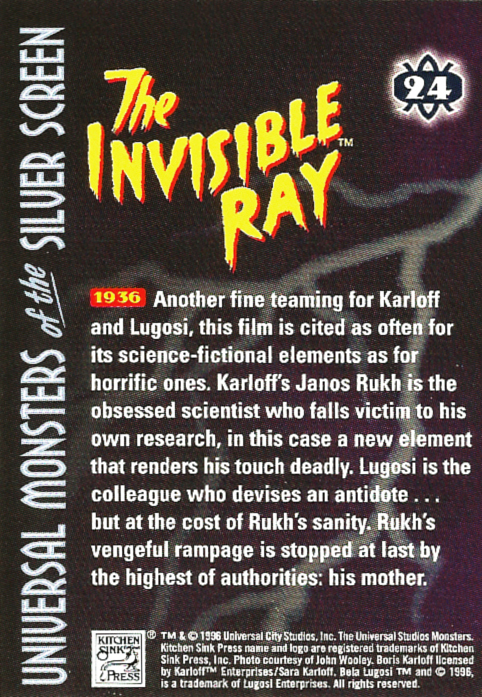 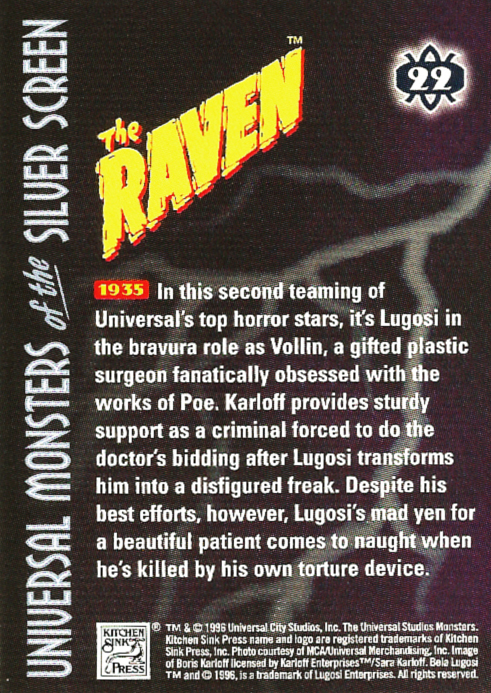 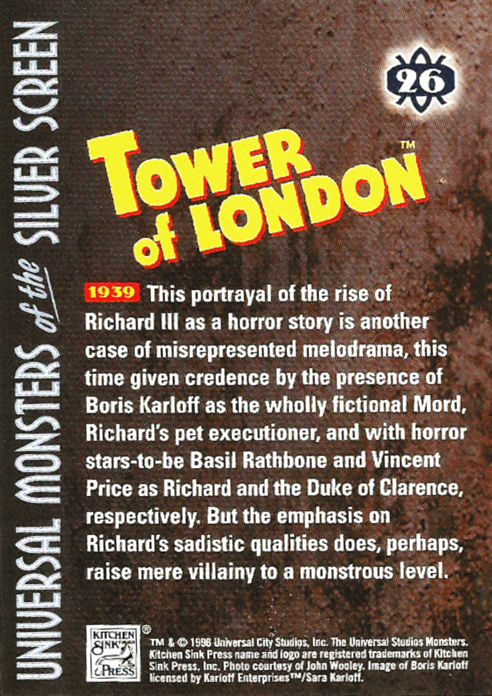 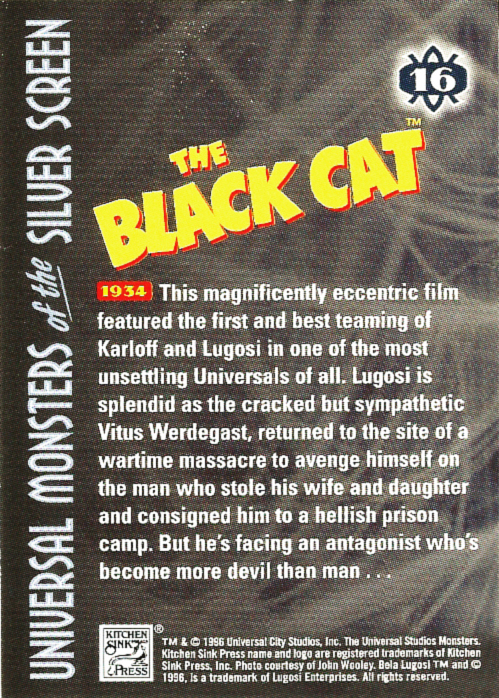 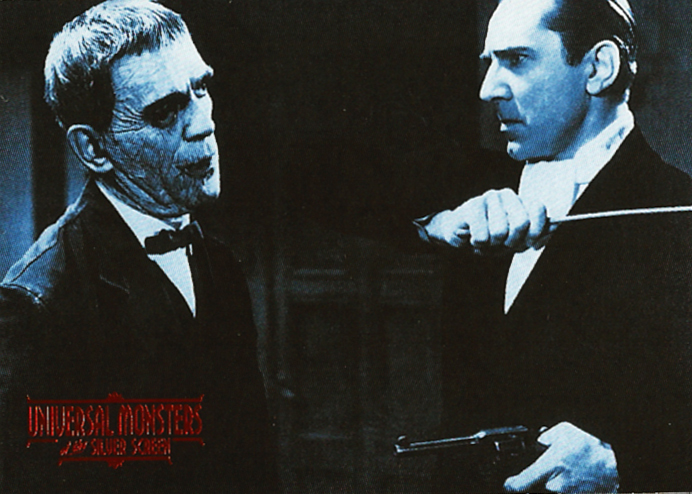 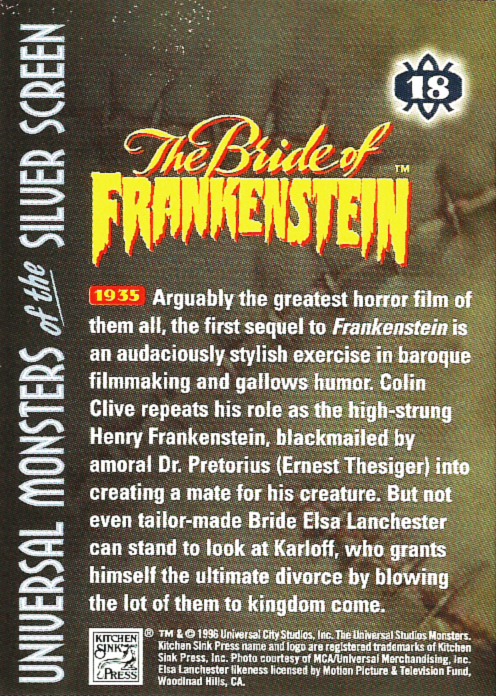 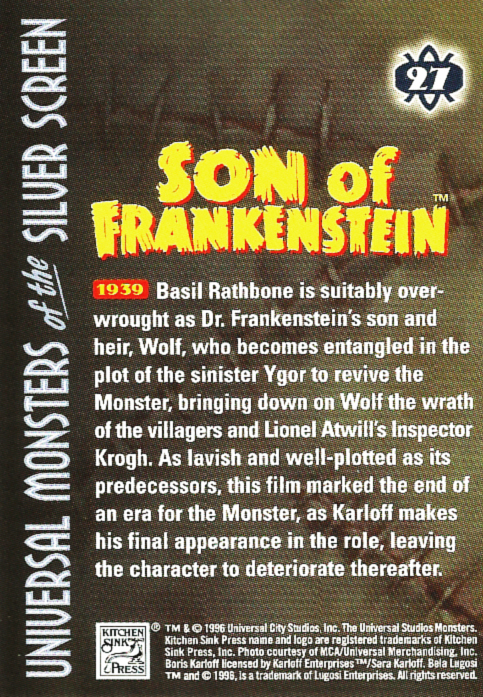 Universal Monsters of the Silver Screen Trading Cards, #16–30 (1996) | 'TAIN'T THE MEAT… IT'S THE HUMANITY! 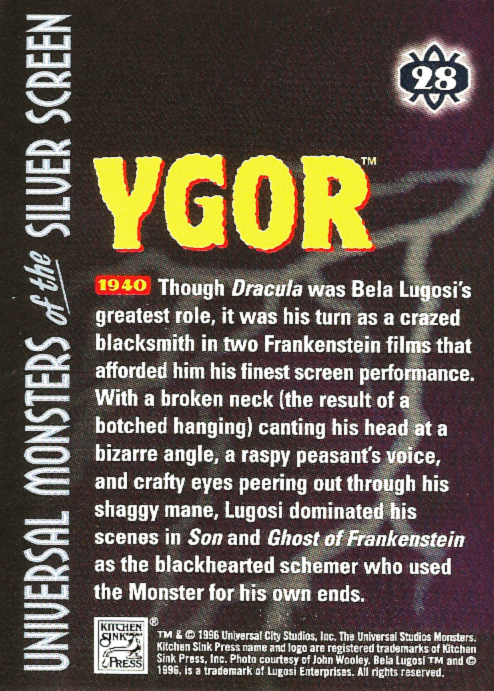 Here is the second batch of cards from Kitchen Sink Press’ Universal Monsters of the Silver Screen Trading Cards from 1996. 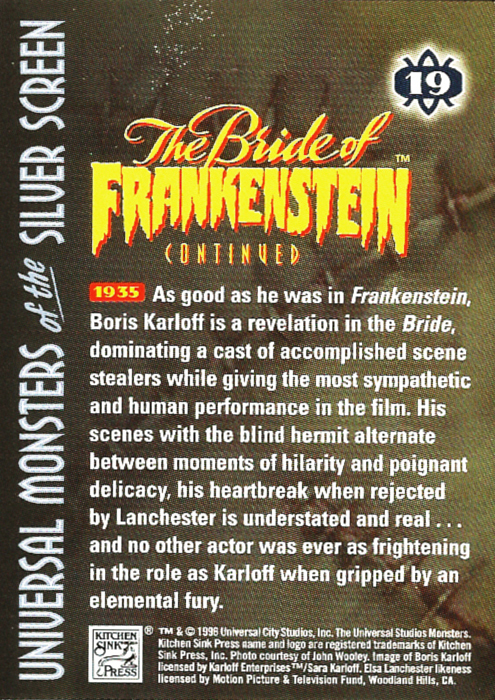 Universal Monsters of the Silver Screen consisted of 90 base cards, 10 lobby poster stickers, 12 chromium chase cards and one ultra-rare card (which is so rare I still haven’t managed to track one down). 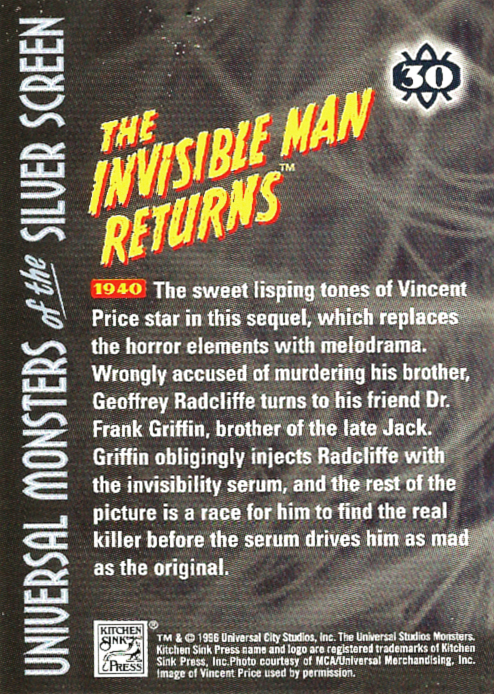 Each card measured 2.5 x 3.5 inches and each foil printed pack contained eight cards and one sticker. 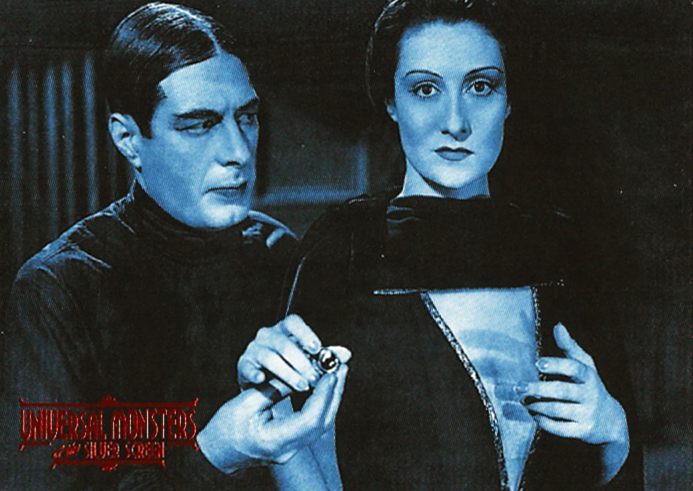 The base cards feature a blue tinted photo (with red foil stamping) on one side and all the cards feature a short caption on their reverse. 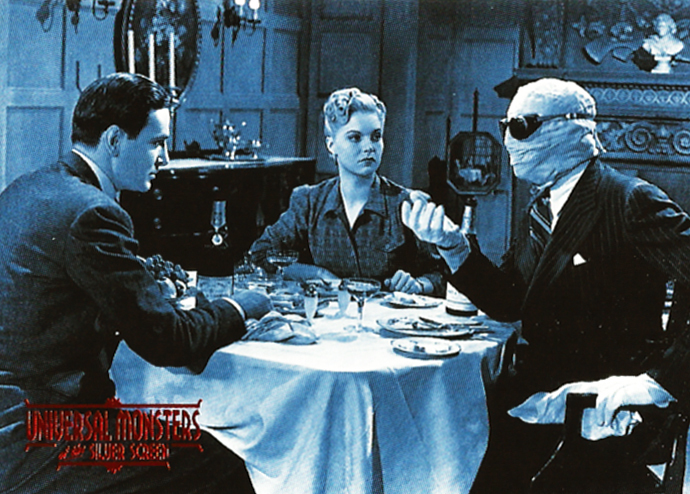 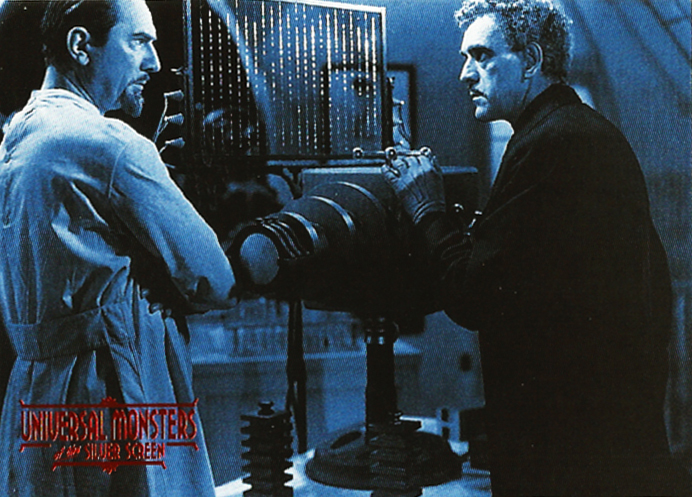 The cards shipped in a distinctive cardboard display case featuring some of Universal’s most famous monsters (see above). 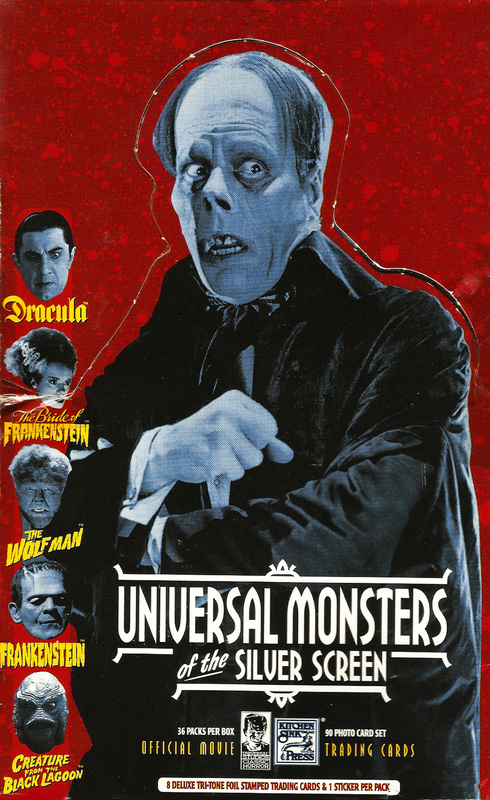 The 15 cards in this batch cover Universal’s film output up to 1940, and there are some truly iconic films here: Bride of Frankenstein (1935); Dracula’s Daughter (1936) and Son of Frankenstein (1939). 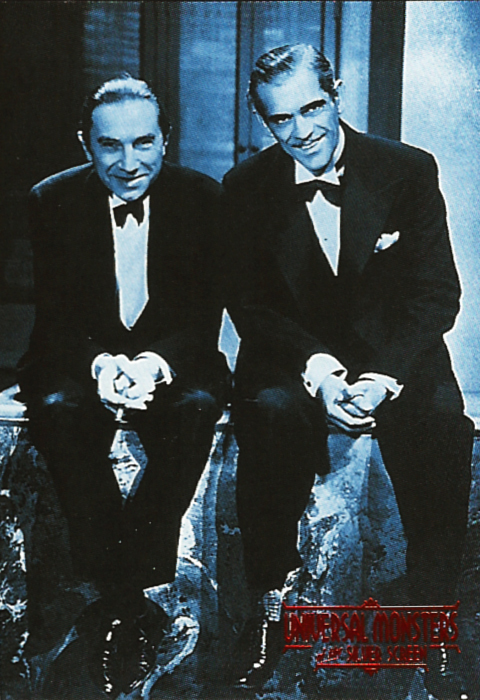 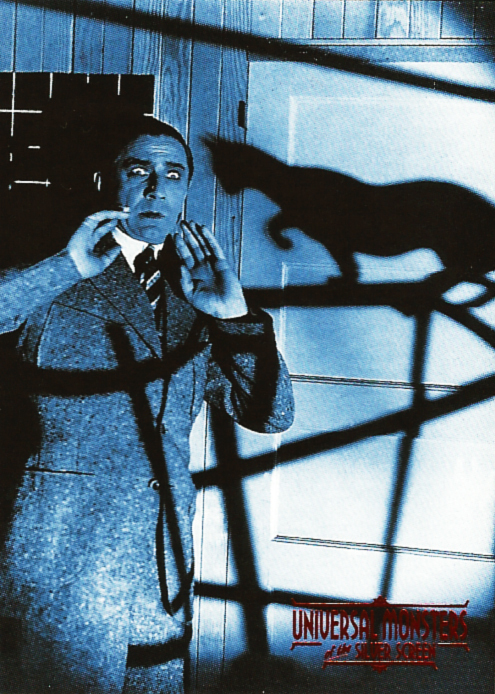 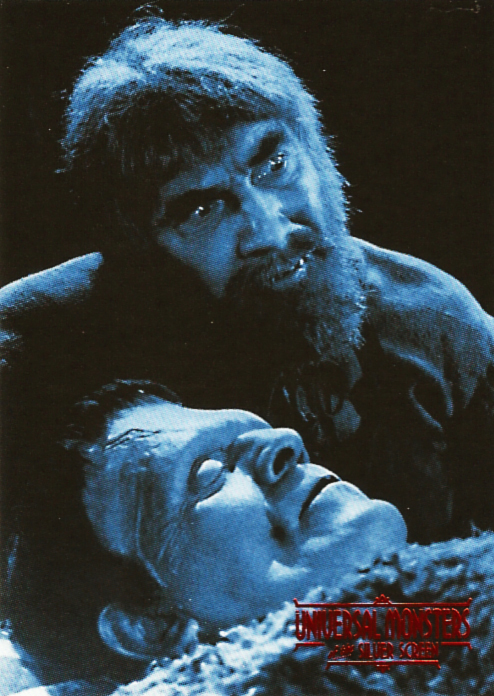 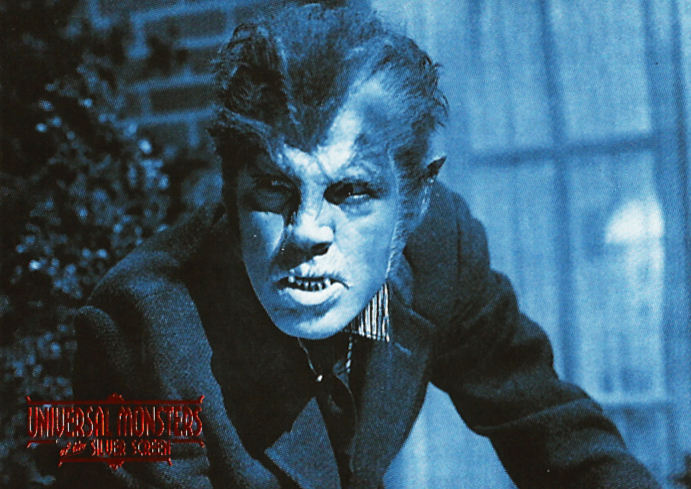 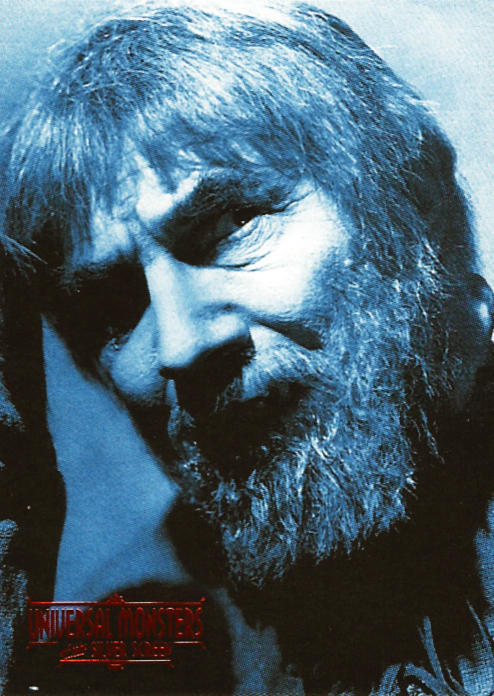 There’s also Werewolf of London (1935), Universal’s first experiment with a Werewolf picture, and a couple of Edgar Allan Poe adaptions, The Black Cat (1934) and The Raven (1935) both starring Universal’s biggest horror stars, Boris Karloff and Bela Lugosi. 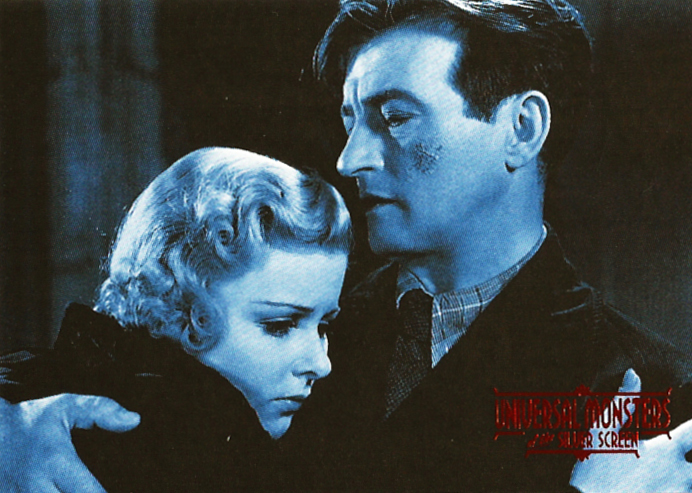 There are also some less well known pictures in this batch – The Invisible Ray (1936), Night Key (1937), Tower of London (1939) and the wonderfully macabre-sounding The Man who Reclaimed his Head (1935). 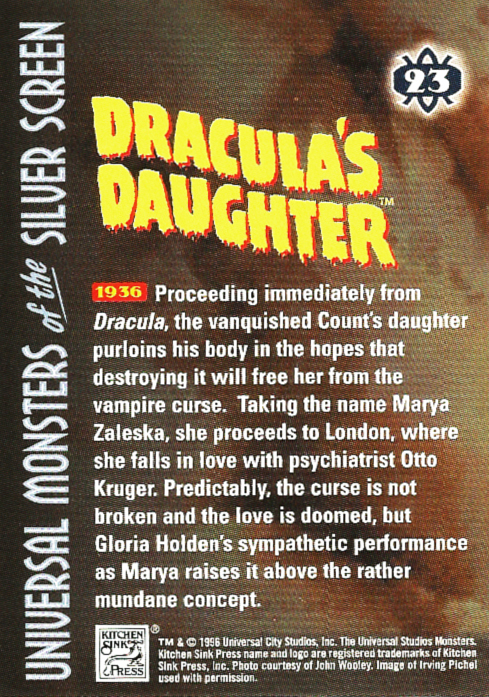 Truth be told these last four are actually more melodrama than horror but they all contain some spine tingling elements and their inclusion here is welcome. 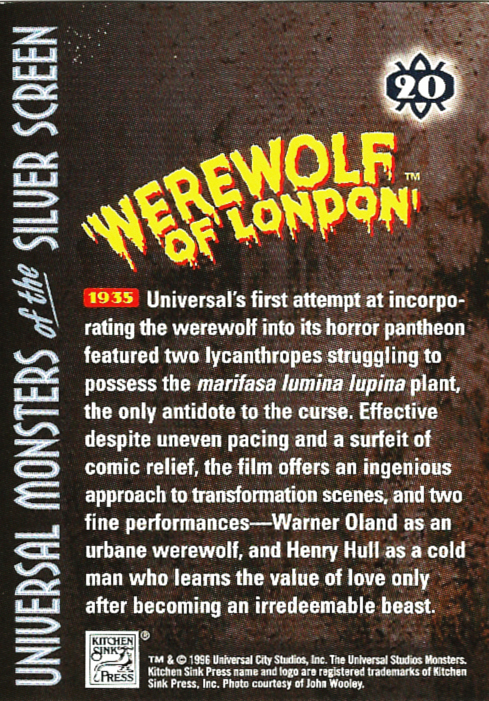 Here are cards #16–30 from Universal Monsters of the Silver Screen Trading Cards, both front and back (cards #1–15 are here). 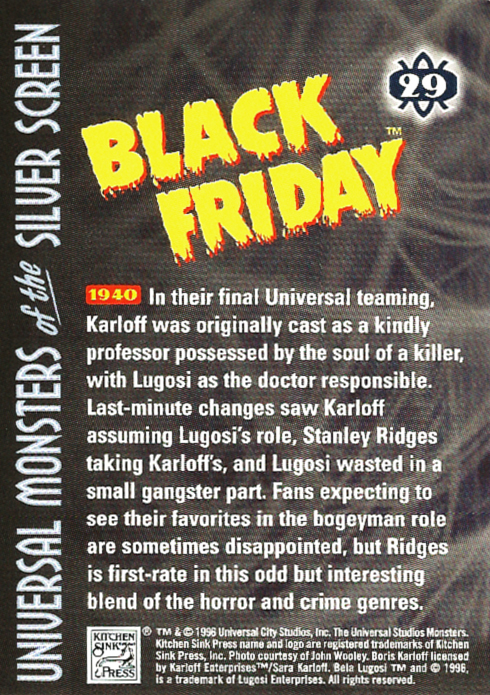 I’ll post another batch in the next day or so.